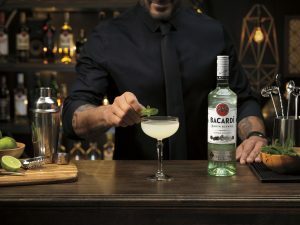 In celebration of National Piña Colada, Mojito and Daiquiri day, for the month of July, BACARDÍ, the world’s most awarded rum brand, is launching Rum Month. From Mojito bikes and Pina Colada discos to Daiquiri tours, consumers will be able to explore the diverse and dynamic spirit that is rum, enjoying over 40 events in bars around the UK. Due to its versatility, BACARDÍ has inspired cocktail pioneers to invent some of the world’s most famous recipes including for these three cocktails. As the world’s most awarded rum, with more than 674 awards for quality, taste and innovation, BACARDÍ is well positioned to bring together the UK to celebrate all things rum this summer. In addition to Rum Month, BACARDÍ will also be bringing its very own Rum Truck to the streets of the UK. The Rum Truck will visit various locations across the country, providing the opportunity for rum lovers to sample a variety of delicious rum based cocktails. Keep an eye on Instagram, Twitter and Facebook for more information and whether the Rum Truck will be in a city near you!